It’s fun to look back at our Web traffic statistics once in a while, because the stories that prove most popular with readers aren’t always the ones we would expect. I wasn’t surprised that our series of stories this year about Google (looking at Google Transit, Google’s M&A strategy, the Google Lunar X Prize, and the Knowledge Graph) did well, since everyone wants to know what Google is up to. But I was surprised that my rant about Twitter’s crappy new iPad app took off so virally, and that our guide to Bay Area coworking spaces has become such an important resource for local startups. Below, for your reading (or re-reading) pleasure, is an annotated list of the 20 most-viewed stories from Xconomy San Francisco this year. 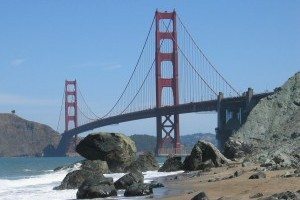 I’m including a few stories here that were posted to our National page but mainly pertained to events or companies in the Bay Area. The Lytro light field camera is utterly unlike anything that’s come before in photography. By capturing information about where light came from, it lets users refocus images after they’ve been taken, and even shift perspectives to create 3D-like scenes. In this piece, I did take issue with a Lytro investor’s assertion that the device would have an impact comparable to that of the iPhone. But that didn’t decrease my enthusiasm for the modern marvel. One of the hardest questions to answer in the search business turns out to be “When’s my bus coming?” But for years, Google has been working behind the scenes to build the nation’s best database of public transportation routes and schedules and, more recently, real-time location and arrival information. This December 12 article explained the origins of the Knowledge Graph, Google’s giant new database of named entities and relationships, and looked at how it’s affecting Google’s core search business and other products. Based on conversations with former Google M&A head David Lawee, this piece looked at the factors behind Google’s remarkably good track record when it comes to integrating the companies it buys. This was a review of The Startup of You by LinkedIn founder Reid Hoffman and journalist-entrepreneur Ben Casnocha. While the books is ostensibly about career strategies, I found it to be even more useful as a tactical guide to LinkedIn. The Content Centric Networking project at PARC, the Xerox-owned R&D center, aims to ease congestion challenges on the Internet by changing the way data is labeled and retrieved. In short, the CCN premise is that you should only have to care about what you want, not where it’s stored. Our biggest biotech-related event of the year in San Francisco was a gathering at Onyx Pharmaceuticals, where Xconomy’s national life sciences editor Luke Timmerman led an afternoon of discussions on current funding options for biotech firms. This slide show featured photos of speakers and attendees. This in-depth article by Arlene Weintraub, Xconomy’s former New York editor, looked at the top-to-bottom organizational overhaul at San Francisco-based biotech pioneer Genentech in the wake of its $47 billion acquisition by Roche in 2009. Pre-Marissa Mayer, Yahoo was already thinking about how to shake up digital publishing, with a set of software tools designed to help mobile developers build cross-platform apps and reduce their dependence on Apple and Google.